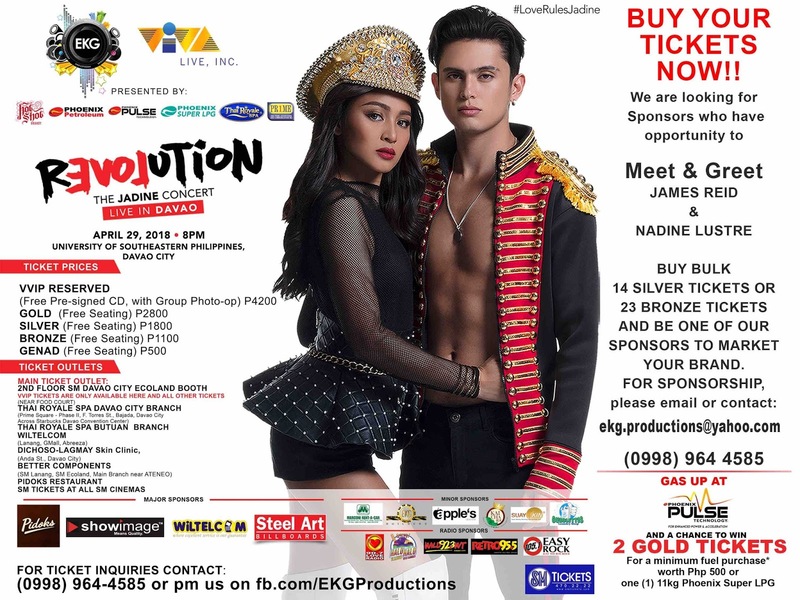 James Reid and Nadine Lustre will take center stage again and will rule the concert scene as they will fly to Davao City for their Revolution Love Rules concert. Davao is the next stop on their tour and this is something you should not miss! 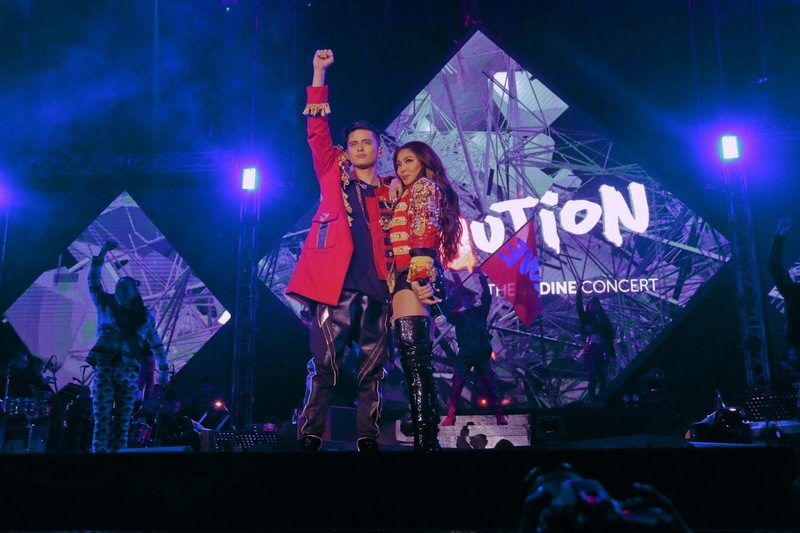 The first Revolution concert happened last February 9 at the SMART Araneta Coliseum. This has to be JaDine's biggest concert yet. This made headlines on the news and on Twitter. The fans were hyped to see the most sought-after loveteam on stage showing their skills in singing and dancing. The concert will be held at University of Southeastern Philippines Gymansium on APRIL 29. This will be followed by the Hoops Dome in Cebu City on May 19. FOR SPONSORSHIP: Please email to ekg.productions@yahoo.com or contact (0998) 964 4585. Buy bulk tickets and feature your goods/products and company as one of our valued sponsors.